Forgive me if my little blog detours for a bit into foster parent talk. Our world has been turned upside down, and this is kind of the focus of our lives right now. Even though it took us nearly six months from orientation to receiving a license to become foster parents and we attended hours of training, nothing could have prepared us for the intensity of those first few days. My phone rang in the middle of the night, and through my sleepiness I agreed to meet the investigator to pick up two babies. I’ll never forget baby girl’s little face as the investigator put her into the car seat. She seemed nervous, but not nervous enough for a little one who was being put into a stranger’s vehicle in the middle of the night. She stared at me intently the whole ride home, never making a sound. The emotions got the best of me and I began to cry thinking of these babies and the trauma they had experienced. There were no family members or family friends that could take them. The magnitude of that hit me hard as I imagined the fight that would ensue between all of our relatives over who would take Lincoln should we be unable to care for him. And these babies had nobody. It was entirely too much for my momma heart to handle. At some point, without any prompting from me, baby girl started calling me mama. My heart swelled at the thought that she felt loved and safe and comfortable enough to refer to me that way. At the same time, an unexpected pang of grief struck me. As sweet as it was, it wasn’t what was meant to be. In a perfect world, this little one would be with the one who gave birth to her. As a mom, I felt heartbroken for her mother that this precious baby was here calling me mom instead of her. I know mom made her own choices that lead us to this place, but that doesn’t change the fact that it’s a sad situation for a child to be separated from his or her family. Every day of this journey has been filled with beauty and with sadness. So much uncertainty surrounds the lives of these children. Every day has been a varying degree of crazy as we’ve adjusted to life with 3 young children. Every day, despite the strong urge I sometimes feel to curl up in the fetal position and cry because of the madness, these babies feel more and more like they belong here. The thing is that they probably don’t belong here. They’ll probably end up back with family at some point. The feelings I have for them have taken me by surprise. I didn’t give birth to them, but when you feed them, dress them, bathe them, cuddle them day in and day out, your brain says they’re not yours, but your heart doesn’t get the memo. I am reminded that choosing to love them is a choice to have my heart broken. I want so badly to be selfless enough to make that choice and to put the needs of these children above my own feelings. I guess in some ways it’s a testament to the beauty of love and family that we can feel this much for them in such a short time. 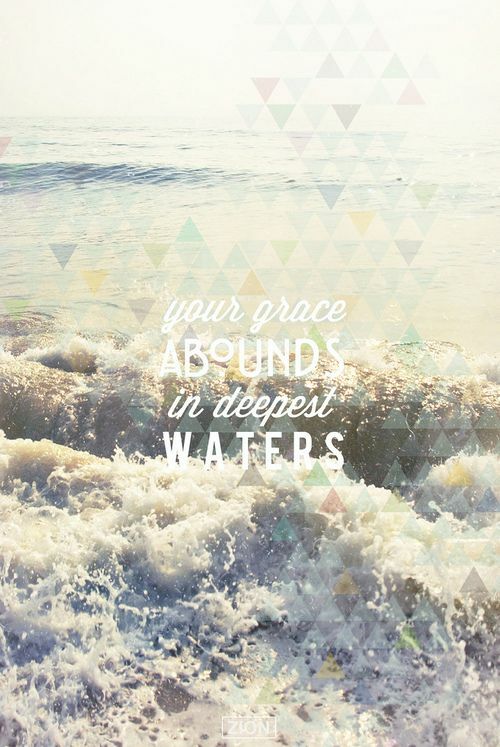 I think of the song we sing at church that says, “Your grace abounds in deepest waters,” and I pray that we find that to be true. That God’s grace will be enough in this situation. Because she calls me mama, and he reaches for me with a grin when I walk in his room every morning. And my heart doesn’t remember that they’re not mine. I find myself swimming in some really deep waters, praying for God’s grace, and praying for the absolute best outcome for these babies, whatever that might be. You are doing exactly what you are supposed to be doing. Going from “mom of one” to “mom of three” overnight is a huge deal and you are handling it better than I could have imagined. There will be days when it all seems too much and there will be days when your heart feels like it could burst with love. Watching you with the kids, it’s easy to see how much you love them. They see that too. You are changing their lives (and yours) in a positive way. I am glad we get to be apart of this with you.